Whether you’ve just received the happy news about your due date from your doctor, or are concerned for a soon-to-be-mother in your life, you are most likely aware that many precautions need to be taken for a healthy pregnancy. It’s all for good reason too. Expecting mothers need to reevaluate not only their diets, but also what’s in their bathroom cabinets. Our skin absorbs more than you think, which means expecting mothers should be paying attention to the beauty products they apply to their skin. Watch out for these harmful chemicals on your ingredient lists, and pick pregnancy safe skin care instead. Retinoids are a preformed source of Vitamin A that are animal-derived. On ingredients labels, they usually come under the names retinyl palmitate, retinaldehyde, or tretinoin. They’re commonly used in skin care for their anti-aging benefits, but using too many retinoids can be toxic to the fetus. For a safer way means of obtaining the skin firming benefits of Vitamin A for your skin, look for rosehip oil and other antioxidants instead. We included rosehip oil in our Restorative Face Oil to encourage healthy skin cell production for smoother, more toned skin. It’s also rich in omega fatty acids, making it an anti-inflammatory yet pampering moisturizer for pregnant women battling dull skin and acne breakouts. Make sure to add water to your face in order to improve facial oil absorbency. In our opinion, parabens should be avoided altogether, whether you’re pregnant or not. Parabens are artificial preservatives used in personal care products to prevent bacteria and microbial formation. They’re found abundantly in cosmetics, pharmaceuticals, and even food. The problem is, studies have shown that parabens can artificially mimic estrogens in your body, which can lead to developmental and birth defects. Parabens are found in breast cancer tissue as well, in relative concentrations that parallel their use in cosmetic products. Instead of resorting to harmful parabens that disrupt hormones, we formulate with Japanese honeysuckle instead as a natural preservative. 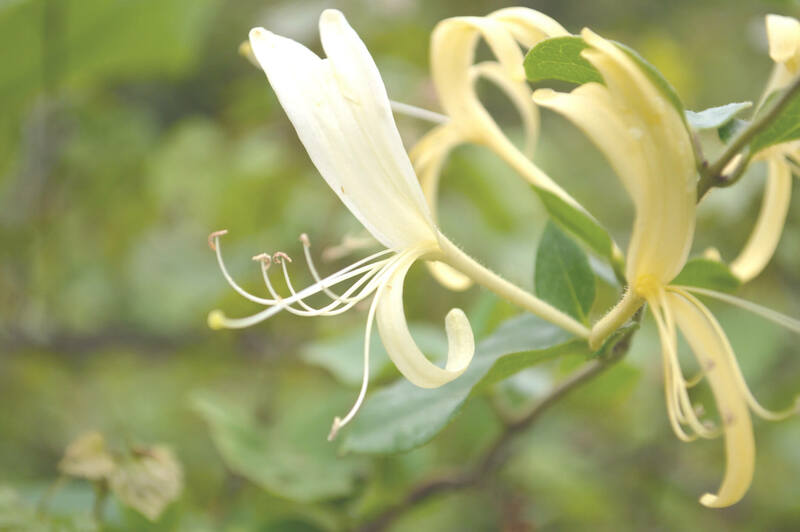 After it is steam distilled, the honeysuckle is converted into phytochemicals that have strong antibacterial and antimicrobial properties, while also being soothing for your skin. We can safely protect the integrity and lifespan of our formulations with benefits for your skin too. Phthalates are industrial plasticizers added to beauty products to increase flexibility. They’re found in nail polish, hair sprays, gels, body lotions, cleansers, and other personal care products to keep formulas smooth, soft, and easy to apply. Despite their widespread use, phthalates are actually endocrine disruptors that can affect reproductive development in a fetus. To keep our organic moisturizer and eye cream smooth and creamy but also safe for your body, we use shea butter (which can help soothe stretch marks too) and coconut oil for a nourishing, soft texture. Cold processed oils also impart a soft, easy-to-apply texture in our organic skin care, and each of them has a different benefit for your skin too. The word “fragrance” on an ingredients list seems harmless enough, but it’s a term that masks dozens of harmful chemicals that could be hiding under it. There’s a loophole in the FDA regulations that allows companies to create complicated fragrance formulas without having to list the individual ingredients. That means you could be unknowingly putting phthalates, parabens, and carcinogens onto your skin. Your best choice for pregnancy safe skin care is to avoid artificial fragrances altogether, choose fragrance free cosmetics, or look out for specific essential oils to use instead. We use fruits, plant oils, and floral extracts to impart a safe, refreshing scent to our formulas, that also provide real benefits to your skin too. Certain individuals may be more sensitive to general or specific essential oils, like vetiver and clary sage*. Some other essential oils to be avoided altogether include fennel, marjoram, tansy, parsley, birch, and wintergreen. We believe that active ingredients should be imbuing products with natural scent, instead of synthetic fillers that decrease the potency of your skin care and often come with ill effects too. 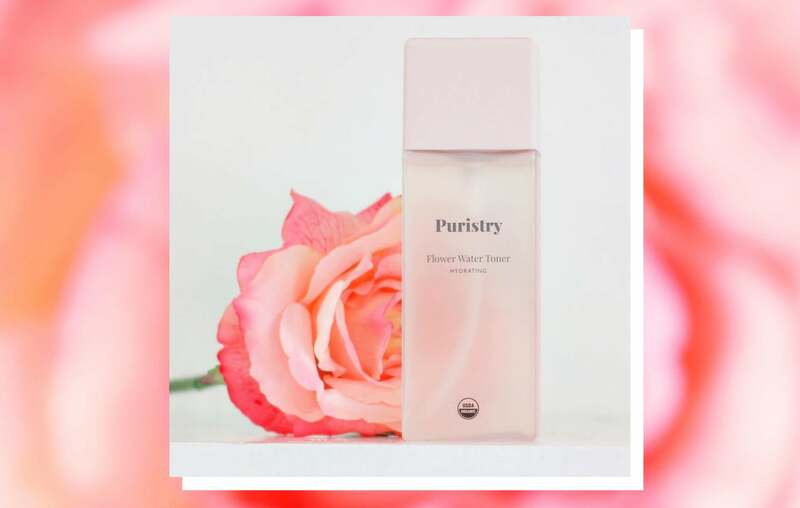 Our Flower Water Toner utilizes a mix of multitasking flowers - rose, calendula, chamomile, lavender, honeysuckle - for their soothing properties and beautiful scent, and work synergistically with hyaluronic acid to lock in hydration. *For the best and safest results, we highly recommend consulting with your primary health care provider prior to starting any new skincare regimen. Hydroquinone: Synthetic skin lightening ingredients such as hydroquinone can damage skin with prolonged use and possibly cause cancer. They’re absorbed through the skin in higher amounts than other synthetic ingredients, so pregnant women should take caution. Oxybenzone: Chemical sunscreens contain hormone disrupting ingredients like oxybenzone, avobenzone, octisalate, octocrylene, homosalate, and octinoxate. Oxybenzone in particular penetrates skin and can mimic estrogen, thus interfering with a healthy pregnancy. Choosing organic skin care is a sure way to avoid toxic chemicals and hormone disruptors during your pregnancy. Going organic can be daunting, but we’ve done the heavy lifting for you. 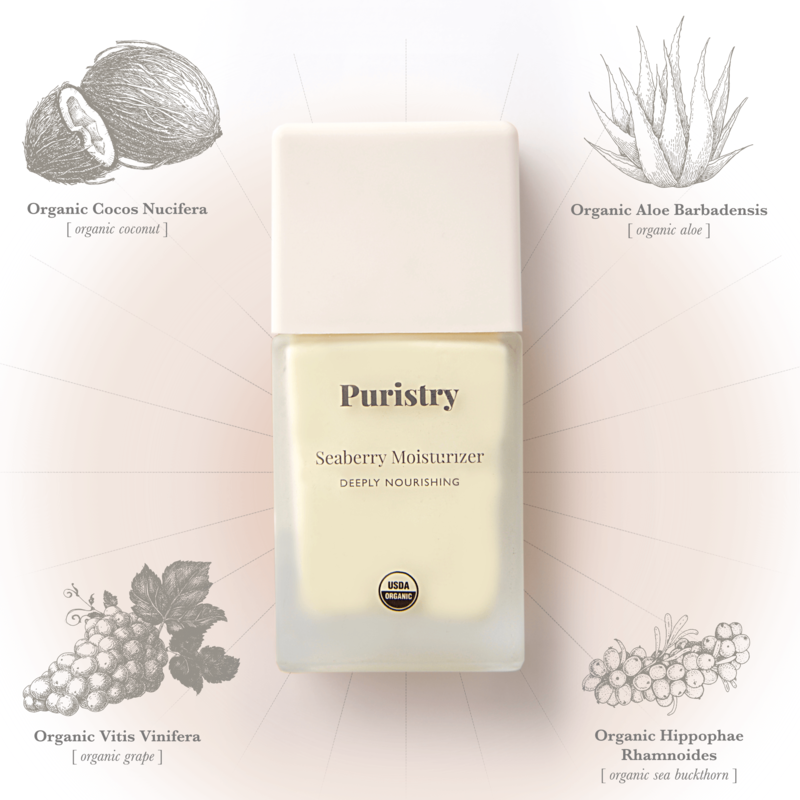 Puristry is proudly USDA Certified Organic, which means we’ve chosen to do away with skin-stripping chemicals, synthetic preservatives, artificial fragrances, detergents, pesticides, and more harmful ingredients. We’re all about pure formulations and clean results, and longtime beauty and health for generations to come.